Organizations have different needs depending on their employee’s age, comfort level, and other factors. Each of our Corporate Team Building Programs is custom built around your goals and your employee’s needs. We also work with many of our clients to develop multi-year curricula that allow a company to return yearly to assess growth, welcome new employees, deal with organizational changes, and prepare for the year to come. We work with groups of virtually any size from 6 participants to well over 100. With many years of experience, our facilitators can accommodate the needs of nearly any participant. All of our programs close with an opportunity for guided self-assessment, allowing your employees to collectively and individually identify areas in which they have grown, skills that they have gained, and goals that they have set. Groups on a tight schedule or a limited budget may wish to take advantage of our Half Day Programs. These programs typically begin with a brief introductory activity for the entire group before splitting into groups of 8-12 participants. 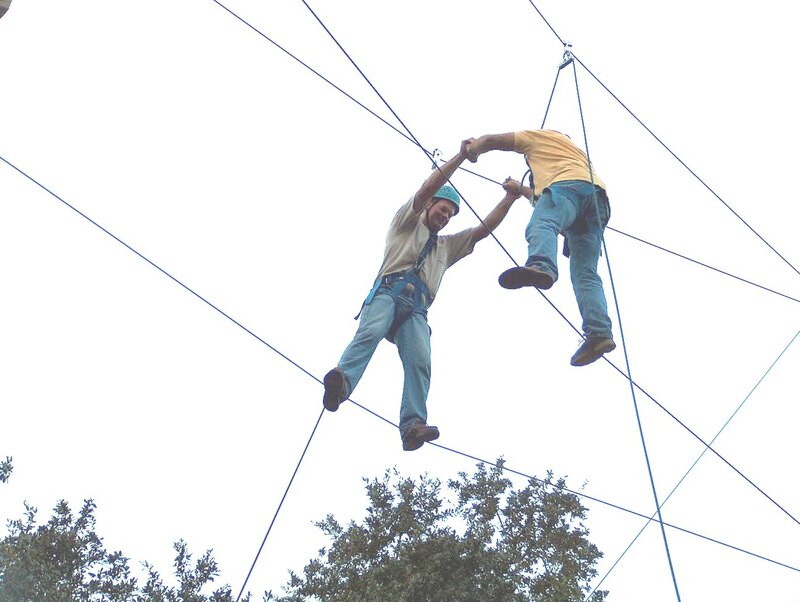 Any single program (High Ropes, Low Challenge, or Tree Climbing) can run as a Half Day Corporate Team Building Program. It is also possible to run a combined Low Challenge / High Ropes Program as a Half Day Program, but this requires some concessions from each program. Full Day Corporate Team Building Programs allow our facilitators to present participants with a variety of different challenges, while ensuring that there is a clear progression and connection from one challenge to the next. This creates a program in which each Low Challenge Element, High Ropes Element, or Tree Climbing Adventure is not just a stand-alone challenge, but a single step as part of a larger journey. In general, Full Day Programs begin with several large group activities before splitting into groups of 8-12 participants. 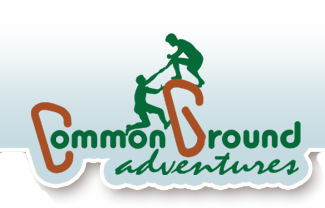 Common Ground Adventures strives to provide unique experiences for your group, regardless of the number of times that we may have worked with them in the past. With this in mind, we create sequential programming for our clients to ensure that your group can explore new growth potential and aim to complete a different set of objectives each time we work with them. We often work with the same company, year after year, tracking the implementation of concepts from previous years while exploring solutions to new situations that may have arisen. For more information on the components of our Team Building Programs, visit the High Ropes, Low Challenge, Portable Programs, and Recreational Tree Climbing pages. For a pricing estimate for your Corporate Team Building Program, please fill out our Program Pricing Request Form online. We've been teaching rock climbing for 30 years, so I was surprised by how much fun, and how different tree climbing is. There was a wonderful mix of excitement, individual accomplishment and community effort as ten kids climbed together. We definitely want to do more of this with our groups.